El Ultimo remains my No. 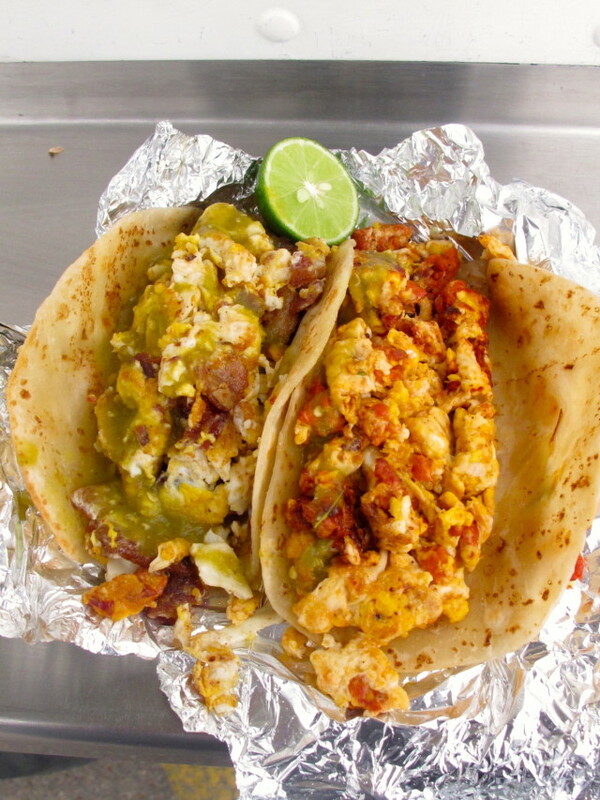 1 breakfast taco truck. There weren't any nopales left, and the taquero at El Ultimo had also run out of machacado. That's what I get for eating breakfast at 10 a.m. So I made do with one chorizo-and-egg and one bacon-and-egg breakfast taco. I squeezed lime on one and slathered the other in the fiery green sauce that came in a tiny plastic bag tied in a knot. They were just as good as I remember them, and still only a buck apiece. Some things have changed since I started writing about taco trucks back in the early days of the interwebs. My longtime favorite, the trailer parked in front of Jarro Cafe, isn't there anymore. (The restaurant called Jarro Cafe is still open.) Perhaps the restaurant sells the Angus sirloin tacos that the trailer made famous, but it just won't be the same. 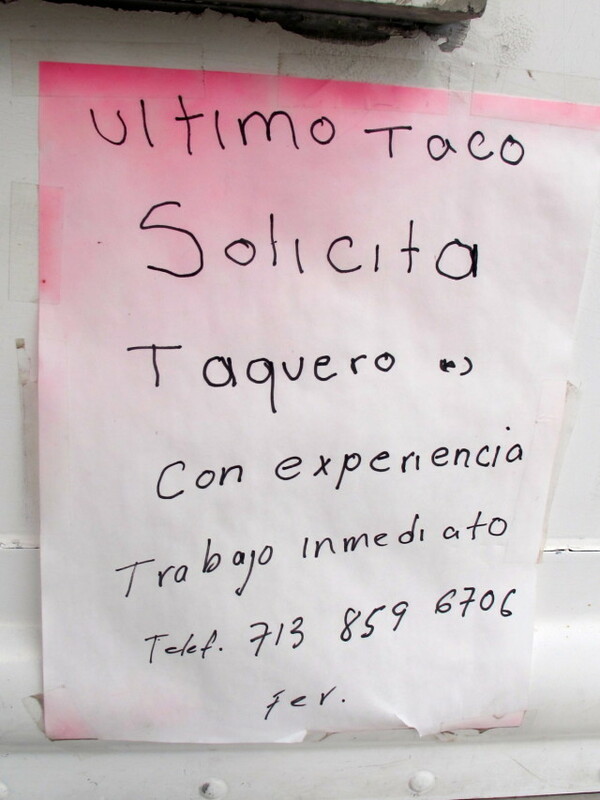 The Taqueria Tacambaro trailer behind Canino's on Airline is still selling sweetbread tacos, and they are still great. 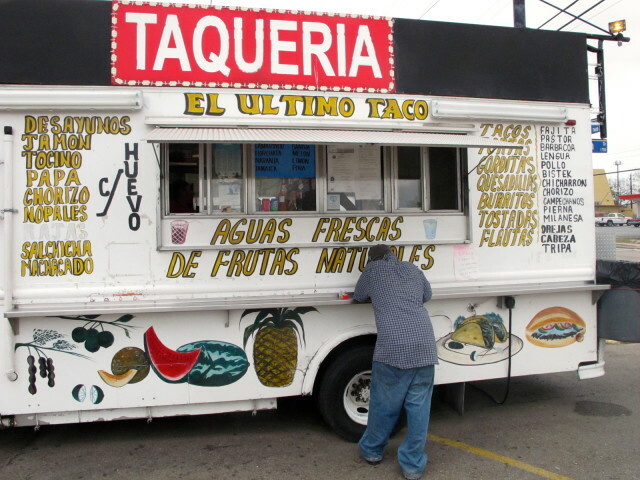 The El Ultimo Taco truck has changed locations. The truck used to park at the carwash near the corner of Antoine and Long Point. I felt a little panicky when it wasn't there when I first drove by. But I breathed a sigh of relief as I drove a few blocks west on Long Point and saw the truck at its new location. It's now parked on the southeast corner of Long Point and Jacquelyn (the 7600 block of Long Point). And its still managed by the same meticulously clean and hair-netted owners. If you always dreamed of becoming a taquero, I have good news for you. El Ultimo is hiring!